Welcome to Books, Coffee & Passion. I am honored that you’re considering me and my blog for requesting a review, so please continue to read below. Books, Coffee & Passion is not a professional book reviewing blog. 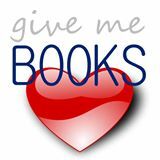 I’m only a passionate reader who love to talk about books I’ve read or want to read, I’m not paid to post reviews or any other content on Books, Coffee & Passion. I will not share, distribute, trade or sell ARCs or E-Books under no circumstances. Some fantasy and paranormal romance too (mainly depending on my mood). Everything has to be about romance, although I do not review historical romance. Link to reviews also promoted on Twitter & Pinterest. Purchase Links (Amazon, Barnes & Noble, Kobo, Ibooks or/and Goodreads), if available. Book rating in a scale of 1 to 5.
Review turnaround time is 6 to 8 weeks, sometimes longer depending on my schedule, unless a specific date is requested and doable. I will consider all review requests received however I cannot commit to all requests being accepted. All authors are welcomed: established or first time author. I reserve the right to not notify the author, publisher or any submitter, if I decide not to read/review his/her book(s). As it’s become time consuming, I will only be responding if I accept to review. I apologize in advance for this and I hope you can understand my motives. Once again, I do not receive nor accept compensation for reviews.